Gordon Liu returns for this sequel to The 36th Chamber of Shaolin (1978) except he is not playing Monk San Te and the over all feel of the Return to the 36th Chamber has more comedic elements. This film is extremely enjoyable and shows that Gordon Liu isn’t just as standard action star that he can branch out into other elements of acting as well. They repeat the same elements that made the original movie so enjoyable which is the long and arduous training the main character has to go through to learn his skills but the added comedy keeps it a bit fresh and different from the original film. 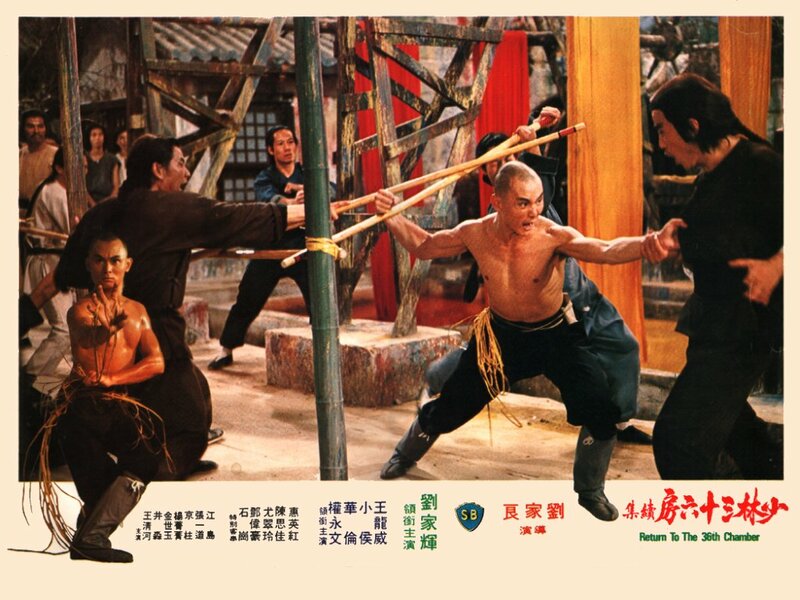 Wa Lun (The 36th Chamber of Shaolin, The Mad Monk Strikes Again) as Chou Sheng the Forman at the dye factory and Chu Jen-chieh’s eldest brother. Trivia: Hsiao Ho, who plays the bucktoothed character Ah Chao would go on to star as Fong Sai-Yuk in the third film in the series, Disciples of the 36th Chamber. This entry was posted in Martial Arts and tagged Gordon Liu, Hsiao Ho, Kara Hui, Lau Kar-leung, Lee King-chue, Shaw Brothers, Wa Lun, Wong Ching-ho. Bookmark the permalink.